Designer Simon Pengelly is no stranger to the Design Guild Mark with 11 of his designs having been bestowed the mark of excellence. 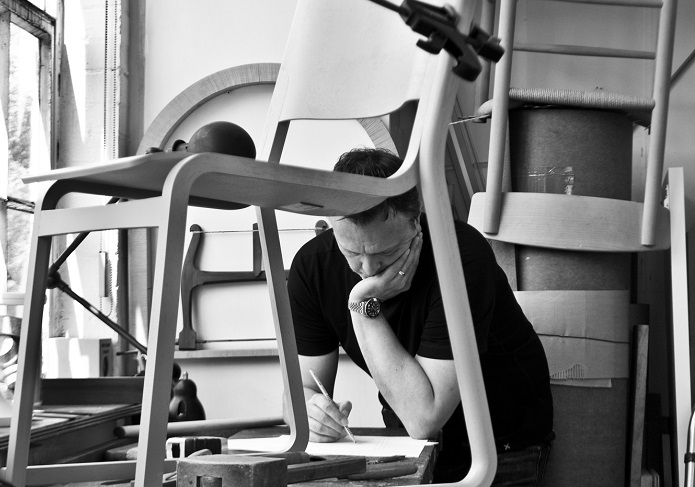 In 2016, Simon was also awarded the Furniture category Jonathan Hindle Prize for Excellence for his UNNIA range. We recently sat down with Simon to find out more about what makes him tick. Hans Wegner, probably the best chair designer in the history of chair design. 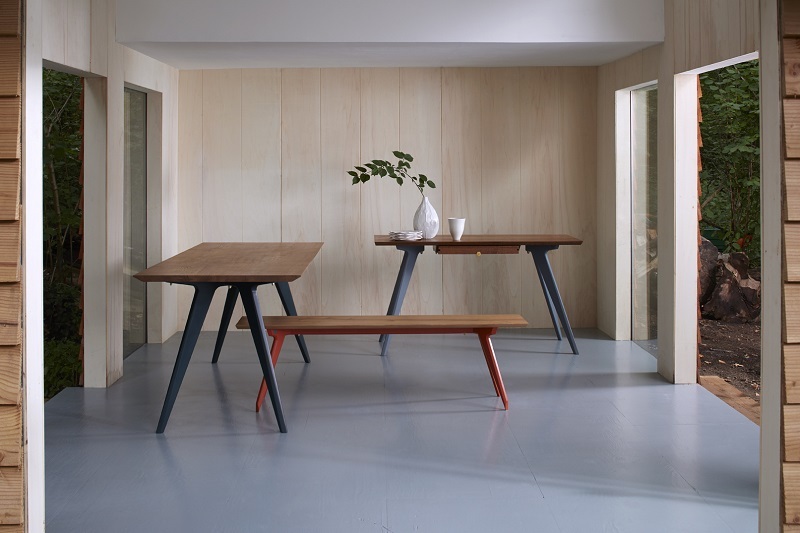 Also my father Michael Pengelly, who rose to chief designer at ercol in his career and taught me his love for wood and the techniques of furniture making and design. When did you first decide you were going to be a designer? I cut my first set of dovetails at eight years old, it was pretty much determined from that point. I was offered a junior designer/prototype maker role at Conran Design Group on leaving Kingston Polytechnic in 1988. It was a dream to work for Sir Terence Conran, another hero of mine. I used to walk around his Habitat store in Watlington in awe as a lad. This was the beginning of my working relationship with Habitat which extended in various capacities for 12 years. It culminated in the design and development of the Radius range, which has been a bestseller since its launch in 2000. What was the first product you ever designed? A set of woodworking tools that I designed and made for my own use. I was 13 and soaking up all the knowledge and techniques that my father could teach me! What do you enjoy about being a designer? Getting up in the morning and loving coming to work. I still do and hope I always will. Problem solving keeps you interested and engaged. It’s certainly challenging but the opportunity to create things for people to use and enjoy is a privilege, as is working with my very capable team and the clients who are brave enough to commission work. 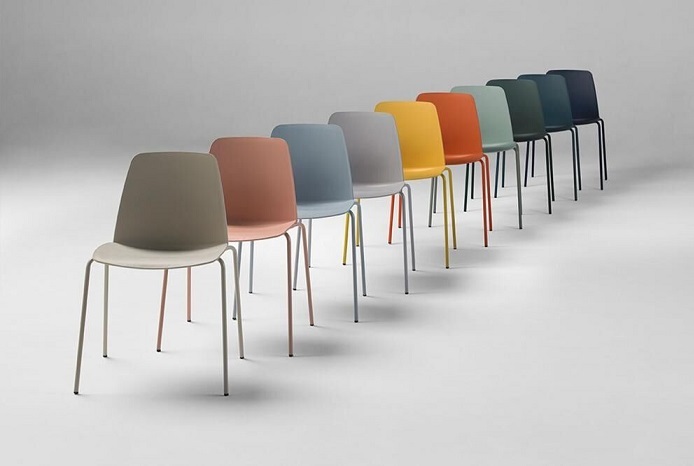 There are many that I’m proud of for lots of reasons, but the Theo Chair and the extended Theo range, designed and developed for Chorus, is certainly one of my favourites. The project was (and still is) a joy to do because of the collaboration with the client and supplying manufacturer. Furthermore, the purity of the concept allows us to keep adding to the range in an intuitive way, enabling Theo to be offered into an enormous number of very differing environments. Theo was a project where every facet of the process just clicked, and these projects are very rare. I’m always in the mood to design something because I love the challenge, it is stimulating, enriching and ultimately very satisfying. I come at the process from a very materials and manufacturing standpoint, but mainly from the functional and emotional point of view of the end user. Context is everything. A product has to have a soul, it has to give to the user on so many levels, it has to make the user feel cared for, this is what we try and imbue into the products we create. Is there a product you wish you’d designed? The Wishbone Chair – my favourite product on the planet! I will not try to explain why because I could never do the designer and his wonderful chair justice in words.